Harcourts Midrand specialises in the Residential and Commercial properties in the Midrand area. Anton was born and matriculated in Johannesburg and obtained his B Com degree at RAU (University of Johannesburg). Being an Athletics coach for fourteen years at the University, Anton developed a deeper understanding of people and what motivates them to be their best. His Athletes achieved on both National and International level as a result of his mentor ship. His ability to lead and guide people was further acknowledged when he was appointed ‘Provincial coach’ on many occasions. His consistent ability to achieve excellence earned him national awards over the 14 year period. 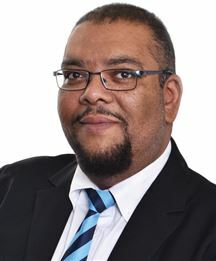 Anton worked at the Development Bank of Southern Africa in Sandton and Midrand from the mid 80’s as a successful ‘Regional accountant’ for 9 years. After his years at Development Bank he decided to start up his own retail company, which he proceeded to grow over the next 20 years to a large wholesale and Retail Business. With his history in Midrand, Anton is well-known and well-liked amongst the Midrand community. Heralded as a down-to-earth and honest person, he has become a much loved member of the Harcourts team in only a short time. His extensive knowledge of Midrand comes from being based here for the last 20 years and conducting his business in the area. With a keen understanding for the commercial world, a focused and determined nature; and a passion for property that is simply infectious; Anton is a proud addition to our Commercial Team in Harcourts Midrand. Bruce’s entire work life has focused on and specialized in Marketing and Sales. 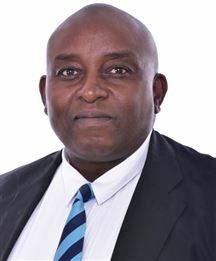 With an IMM (NQF6) behind him, as well completing several other courses such as: Professional Selling Skills & Key Account Manager, he is more than qualified to assist you with your commercial property needs. Over and above Bruce’s extensive training, he has 30 years sales & training experience, leading at both a branch level and national level. His positions held range from Salesman to Managing Director boasting the successful turn-around of a company from being at a financial loss to a profitable business. With a passion for growth and independence, Bruce decided he wanted a new challenge: to work for himself! This prompted his decision to join Harcourt’s Midrand in 2013 in their commercial sector. Having completed his Estate Agents exam and RPL process, Bruce has catapulted his career forward by showing an eagerness to please his clients by giving the best possible service to them. By consistently offering honest, open communication & a professional touch to every aspect of sales and rentals that he is involved with, Bruce is the epitomy of reliable and consistently conscientious in his work and a proud addition to our team. One of the most likeable characters in the office, Bruce has a way of making business happen smoothly, efficiently and with a smile on his face. When looking to buy, sell or rent commercial property, Bruce is truly the finest agent in the business and will no doubt be your exclusive agent of choice in the commercial property sector after having done business with him! After completing Matric I trained as a teacher at Sekhukhune College of Education. I started teaching at Butshwane Primary School and spent 20 years teaching. While I was teaching I managed to obtain a B.Ed with Unisa. I left teaching to join my family in Johannesburg. In 2006 I joined Rawson Properties as a Candidate Estate Agent. I then left Rawson Properties in February 2009 because I wanted to join a well established Real Estate Company and after checking out the Midrand Property Market I decided to join Harcourts Midrand as I found them to be a cut above the rest. I have been selling with Harcourts since February 2009 and I am very successful due to the use of technology and systems offered by the Company. This technology gives us the edge to market and sell in the shortest possible time. I have completed my NQF 4 in Real Estate which equips me with knowledge necessary in the Business of Marketing your property efficiently. I specialise in Noordwyk, Countryview and Olievenhoutbosch. Neal has always had a keen fascination with the property business, a passion possibly ignited by the fact that his mother has been his mentor as a top-performing agent for over 27 years now! 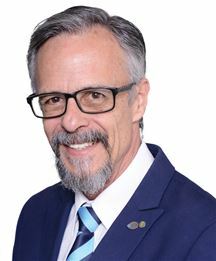 Having lived in Midrand for over 35 years and being able to witness personally the growth the city has undergone, Neal’s first-hand knowledge of the city is extensive. This booming metropolis is after all his home! This simple but yet very important detail allows Neal to have a sincere personal passion for the area. 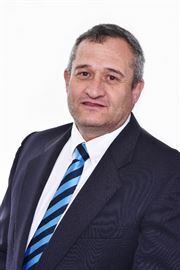 Neal is putting every effort into becoming a top Real estate agent in Midrand, and already, is showing incredible performance over the short period he has joined forces with Harcourts Midrand. Neal believes that Midrand has more than a property investment to offer, but rather it offers a unique ‘way of life’ difficult to match elsewhere in Gauteng! Neal has spent almost 6 years working and studying the Midrand agricultural sector and knowing his stomping ground better gives him a great advantage over other agents. 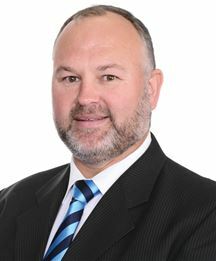 As part of an expert team, Neal can offer you his personal experience and passion for Real Estate, as well as the professional support of the Harcourts team behind him. As a true people’s person, Neal understand the needs of the seller as well as the requirements of a buyer, and is therefore able to find a good match for the two! Going that extra mile is what is needed in today’s hustle and bustle and you can be assured that you have Neal’s 110% commitment to you throughout your buying or selling process! For a valuation, to list your property for sale, or to purchase your dream home, consider Neal your Go-to-Guy for the best possible experience in the industry! Robert van Dyk has worked in Centurion, Midrand, Johannesburg and internationally for 30 years and lived in Gauteng for even longer. He has experience in Information Technology, Mining and Facilities Management. With a Diploma in Electronic Engineering (TUT), Certificate in Project Management (UP) and certified as a Six Sigma Black Belt in process improvement and Lean Sigma. Projects completed in safety systems, HSEC management, Security management and Facilities management. 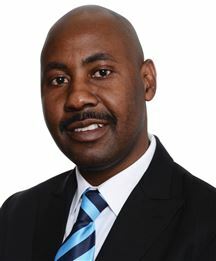 As a Commercial Specialist for Harcourts Midrand he has the knowledge, expertise and support necessary to ensure a successful sale for his clients. Robert is fully equipped to understand exactly what his clients need and require and with the backing of Harcourts, is able to extract information from other members of the team to ensure exemplary service providing the best possible advice and subsequent results. Born in Cape Town, Debbie has lived in Midrand for over 20 years where she has established her roots and made Midrand her home. 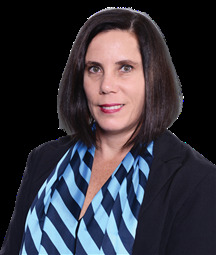 Debbie is a highly efficient residential rental consultant with a philosophy of attention to detail, remaining organized and efficient has resulted in her being a favourite with our clients. Her report with clients has been consistently well-received due to her ‘can-do’ attitude and wanting to put our clients’ needs first. Debbie believes in giving her clients the same straight-forward, honest and informed support that she would want to receive if she was renting or buying. Putting herself in the clients shoes is obviously something she has become remarkably good at, since our clients walk away regularly remarking on the excellent service she provided. We are certain you will have the same positive experience with our fantastic consultant! 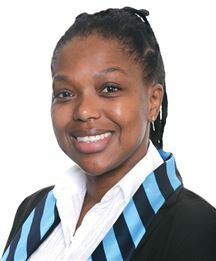 I am a Residential Rental Specialist at Harcourts Midrand, where I've been working for 7 years. I joined the Real Estate Industry during 2009 as an Intern Estate Agent, focusing predominantly on rentals and over the years I have received many Bronze and Silver certificates for Property Management and for Commission generated. 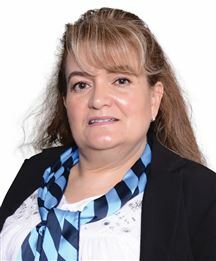 I am a qualified Estate Agent having received a Certificate of Professional Designation - Professional Practitioner in Real Estate (PPRE) during 2014 and I'm in the process of my second year of Continuous Professional Development (CPD) through the Estate Agency Affairs Board. 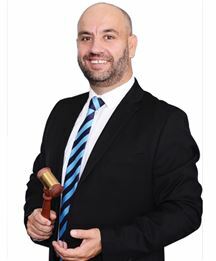 My success in the industry has been due to the ongoing support, training, technology and systems offered by Harcourts and the Business Owners of the Harcourts Midrand franchise. I am hard working, pay attention to detail and provide service to my clients. I also have a Diploma in Marketing Management, am an A.I.D.T. qualified Advanced Tap Dance Teacher and have KZN Colours for Masters Swimming. 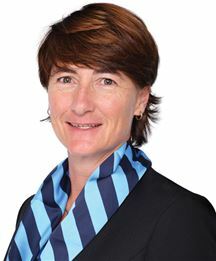 Charne comes from a real estate background as her mother is the Principal of Harcourts in Queenstown. Harcourts has been in Charne's family for a couple of years now and it is a brand she is extremely loyal to, Charne worked as an agent at Harcourts Queenstown and now she has decided to spread her wings and join Harcourts Rhino. Coming from a small town people know who you are. So given the chance, Charne is sure that her areas will get to know her really well. Charne may be young but she is experienced as she has sold many properties before, becoming a top agent is always a goal that Charne strives for and then, of course, staying on top. 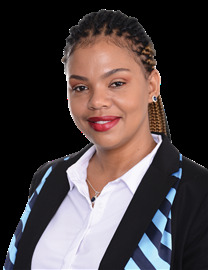 Charne learnt many skills in her years of growing up in a Real Estate family as well as being out on her own, Charne believes that in everything you do there is always a lesson to be learnt; “you’ll never be successful if you don’t encounter failure”. Charne is resilient and a fast learner, she has been brought up to be a hard worker. Charne puts in the hours because how else do you get to the top? Family is very important to her as well as Harcourts, given the chance we will find you a beautiful home that meets your requirements and is in your budget, because there is no greater feeling than handing over the keys to a family, knowing that they are going to be happy in their new home. For Charne's grade 8 initiation they had to write three words that best describes themselves, Charne's words were vivacious, charismatic and honest; She would still use those three words to describe herself as she believes the foundations that you build on need to be solid. Charne is an enthusiastic and positive person as she believes that attitude is very important in the way you view life. 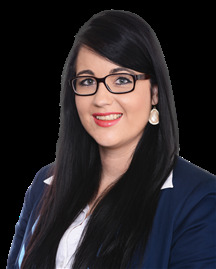 Charne has a B.A Media Studies and Journalism from the University of the Free State; Charne believes that her knowledge of the media industry as well as her journalistic skills will help her greatly when it comes to marketing your property. I have working experience in financial reporting and auditing. I am registered with Real Training for personal development. I am passionate about real estate.